The organizing committee of the Korea Drama Festival has named actors Yoon Sang-hyun and Kim Bum as PR ambassadors for the 2009 Korea Drama Festival, which is slated for October 1-15 in Jinju, South Gyeongsang Province. 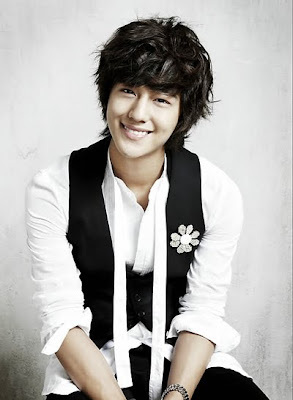 Yoon played "Heo Tae-jun" in "The Queen of Wives" while Kim played "So Yi-jung" in "Boys Over Flowers." Yoon, whose popularity has soared since his appearance in "The Queen of Wives," will attend the screening of the drama's famous scenes on October 13 along with Seon Woo-seon, who played his partner in the drama. He will also tell the audience behind-the-scene stories about the drama. Kim Bum and his drama partner Kim So-eun, who played "Chu Ga-eul" in "Boys Over Flowers," will attend the Asia Star Night - Boys Over Flowers Special" on October 12 to tell interesting stories about the drama and screen its famous scenes. The organizing committee will hold the 2009 Korea Drama Awards, the Asia Star Night - Boys Over Flowers Special and the 4th Next-generation Actor Competition.